Buh-Bye. another OC picture. 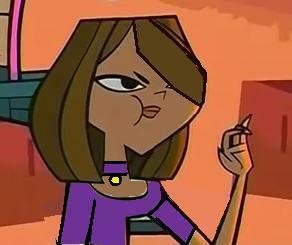 Wallpaper and background images in the Total Drama Island club tagged: oc. This Total Drama Island photo contains anime, truyện tranh, phim hoạt hình, and manga. kool one of my fav scenes when sadies kicked off.